As a Trustee responsible for overseeing our volunteering activities, I want to say, thank you on behalf of the Nuclear Institute for your volunteering. I spent 10 years as a volunteer as part of the Cumbria branch and felt I made a difference, a contribution and developed personally as a result. Our volunteers are the lifeblood of the Institute and are the primary means of bringing our strategy and charitable objectives to life - inspiring and motivating fellow nuclear professionals, potential new entrants to the industry and educating and engaging with the wider public. Volunteering is a fantastic way to widen your contact base, gain essential career experience, develop valuable job skills, and give something back to the sector. In the pages that follow we set out the benefits of volunteering and the types of activities you can get involved in. We hope you will these resources useful. Get involved and above all enjoy the experience. Discover something you are really good at and develop new skills. Volunteering is a great way to gain experience in your field. Some roles provide the chance to gain career enhancing skills such as influencing, negotiating, chairing meetings, project management, and guiding others so you can grow your experience outside the scope of your current job role. Training undertaken as part of your volunteer role can also contribute towards your continuing professional development (CPD). 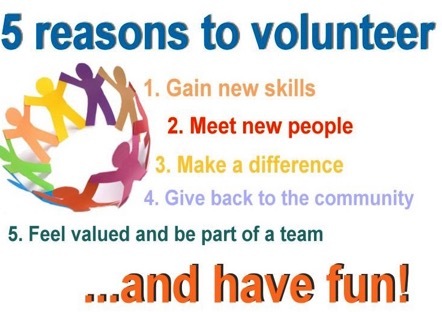 Volunteering allows you to make new contacts and build your network, particularly if you are just starting work or are new to an area, or even if you just fancy a change. Some will become lasting contacts but all could be informal mentors to help your career. Networking with peers in your industry will not only expand your knowledge, but can allow you to benchmark yourself and your organisation; bringing new understanding to your work. You will broaden your support network, be exposed to people with similar interests, and learn and in turn inspire others. Volunteering with the Nuclear Institute also gives you the kudos of being an active member of an internationally recognised professional association. Volunteering can help you build upon competences you already have and use them to benefit the wider community. For instance, offering to speak at a careers event about your experiences would not only benefit those thinking about their career choices but will also help you in developing and improving your public speaking and communication skills. Mentoring is another key way you can help others. Share your knowledge and experience with others, and ensure that they are exposed to activities and learning to support the sector. Volunteering for the Nuclear Institute is helping to build our community, to preserve and extend knowledge and keep our shared experience alive. Together we can also help to advance public understanding of nuclear energy and related topics. We can also help others in really practical ways through outreach activities. Volunteering does not need to be time consuming but it is always rewarding. Volunteering is about working with and supporting others as part of a team. This is an invaluable life as well as professional skill. The Volunteer Handbook is designed to support you as a volunteer and to facilitate good communication with the Nuclear Institute HQ Team, who are there to help. Please start by viewing the Contents Page and Section A1 - About the Volunteer Handbook.